We are driven to deliver the best of what is possible. Bruce has been an active member in the financial services industry since 1993, including extensive experience in advising institutional investors and complex families in a consultative manner. 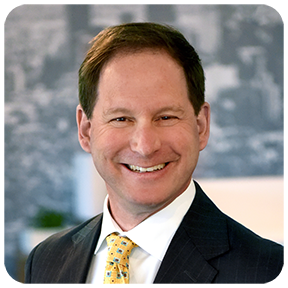 He started his career as an auditor with an international public accounting firm and moved into investment advisory services with top tier Minneapolis-based firms Jeffrey Slocum Associates, Bel Air Investment Advisors, Marquette Asset Management and Tealwood Asset Management. As an Evans Scholarship recipient, Bruce earned his B.S.B. in Accounting at the University of Minnesota Carlson School of Management. He holds the Chartered Financial Analyst (CFA), a member of the CFA Society of Minnesota, and the Minnesota Society of CPAs. Bruce and his wife have three boys. Bruce is a committed volunteer currently serving as a Board Member for the Literacy Matters Foundation and as immediate Past-Chair of the Positive Coaching Alliance Minnesota chapter. Additionally, Bruce is a Director and Past-President of the University of Minnesota Alumni Association for the Western Golf Association / Evans Scholarship Foundation. Dan has a wealth of experience in advising individuals and institutions in security selection and strategy. 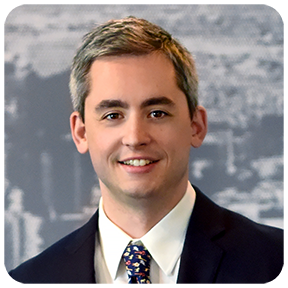 Dan’s investment career began in 1993 in Boston working for the investment banking firm of Donaldson, Lufkin & Jenrette (DLJ). He also worked in Treasury for TCF Financial Corporation as a portfolio manager. Most recently, he served as a principal and investment officer at Tealwood Asset Management. Dan holds the Chartered Financial Analyst (CFA) designation and is a former member of the Board of Directors for the CFA Society of Minnesota. Dan is a graduate of Skidmore College with a BA in Music. He and his wife have three children and he enjoys golf, skiing and the arts. Dan serves as a Trustee for the Breck School in Golden Valley, MN. Ben joined EPIQ Partners in 2016 as Director of Investment Research and Portfolio Administration. He previously worked at Whitebox Advisors, a hedge fund company in Minneapolis, where he managed cash and positions to improve liquidity and investment returns while reducing expenses related to prime brokerage fees, securities lending and the use of leverage. Prior to Whitebox Advisors, Ben worked in New York City for the multi-family office of BBR Partners where he generated client reporting, serviced client accounts and processed corporate actions. Ben is a graduate from Willamette University in Salem, Oregon with a B.A. in Anthropology. He now lives in St. Paul with his wife, daughter and son. He enjoys frequenting the cities’ wonderful restaurants, cooking at home with his wife, reading fiction, listening to music, playing board games, cycling, and spending time with his children. Mollie joined EPIQ Partners in 2019 as the Manager of Partnerships and Events. Previously, Mollie worked in talent acquisition for several technology companies, including Field Nation where she oversaw recruitment during the company’s $30 million initial round of funding. Following this she took an opportunity in her hometown of Yankton, SD where she partnered with state and local economic development bodies and opened up “The Sandbox,” a coworking space tailored towards women and men with progressive ideas in rural communities. Mollie, her husband, son and chocolate Labrador now reside in the Brookside neighborhood of Saint Louis Park. Mollie enjoys traveling, sports and sporting events, nice dinners, spending time with family, antiquing and most recently boxing!